Search Property All Property House House Plot Commercial Building Commercial Land Agricultural Land Kanyakumari District Anjugramam (All) Anjugramam Azhagapapuram James Town Mylaudi Aralvaimozhi (All) Aralvaimozhi Vellamadam Thirupathisaram Thovalai Kavalkinaru Boothapandi (All) Boothapandi Seethapal Thittuvilai Azhagiyapandipuram Thadikarankonam Kanyakumari (All) Kanyakumari Agastheeswaram Kottaram Vattakottai Swamithope Manakkudi Keeriparai (All) Keeriparai Maramalai Othakadai Valayathuvayal Palkulam Kulasekaram (All) Kulasekaram Thirparappu Pechiparai Sivalogam Thiruvarampu Attoor Kalial Arumanai Ponmanai Kuzhithurai (All) Kuzhithurai Thiruvattar Melpuram Vilavancode Kazhiakavilai Kollencode Marthandam (All) Marthandam Kattathurai Kappukad Palliyadi Natalam Thengapattinam Mondaymarket (All) Mondaymarket Mondaikadu Colachel Eraniel Neyyoor Karungal Manavalakurichi Nagercoil (All) Nagercoil Idalakudi Kottar Chettikulam Ramanputhoor NGO Colony Asaripallam Paravathipuram Krishnankovil Vadasery Meenakshipuram Ozhuginasery Ramavarmapuram Putheri Konam Rajakkamangalam (All) Rajakkamangalam Eathamozhi Puthoor Pillaithoppu Ganapathipuram Erumbukadu Pazhavilai Suchindram (All) Suchindram Vazhukamparai Theroor Marungoor Thengamputhoor Thuckalay (All) Thuckalay Villukuri Padmanabapuram Thiruvithancode Azhagiamandapam All Budget Below 5 Lacs 5 to 10 Lacs 10 to 15 Lacs 15 to 20 Lacs 20 to 30 Lacs 30 to 40 Lacs 40 to 50 Lacs 50 to 60 Lacs 60 to 75 Lacs 75 Lacs to 1 Cr. 1 to 1.5 Cr. 1.5 to 2 Cr. 2 to 3 Cr. 3 to 5 Cr. 5 to 10 Cr. 10 to 20 Cr. More than 20 Cr. Select Property type (e.g. House/agricultural land), location (e.g. Anjugramam or Kulasekharam) of your choice and if you have a budget in mind you can choose your budget from the drop down menu. Click on the search button and you are done. "Once I listed my property in RealKK, I started to receive tremendous response from various people. It has different options and it is the best way to get meet different genuine buyers and sellers." Post your property now to start receiving immediate responses. This is an agricultural land on the banks of Alankal and close to Athi Kulam. 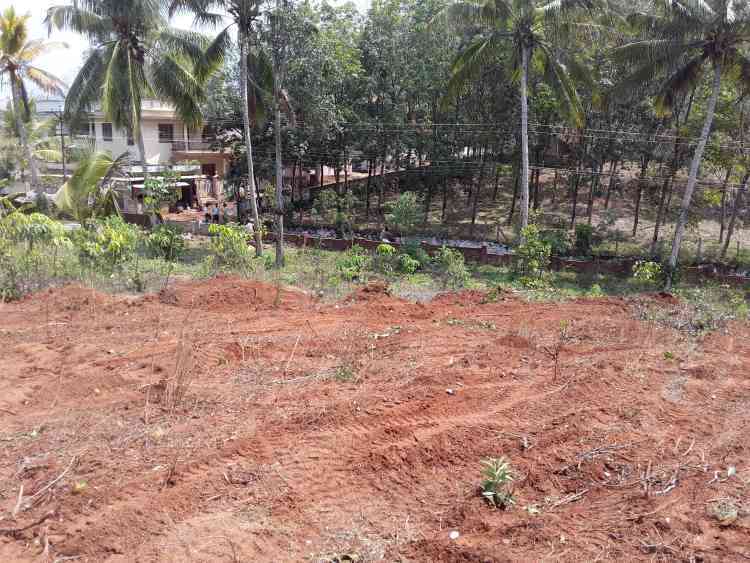 Excellent agriculture land, 50 cents, near Marthandam. Rubber Plantation with income. Copyright 2013 RealKK.com All Rights Reserved.